Growing up in the south there are several restaurants with hardly any various. It roasted or boil chicken with vegetables or none in a cream of chicken or chicken broth soup and flat dumplings. I get it most of the time if they have it and it is good but I like my food spicy. In high school, I think it was my Sophomore or Junior year, I was in a Home Ec. class and we had a homework assignment to come up with a dish. I forgot to do it the assignment and when my teacher came to me on the spot it popped in my head, Cajun Chicken and Dumplings, I never made it before that time in my life and winged how to make it. I told the teacher that you boil the chicken breast or thighs in what we call down here Crab Boil and there you go. So when I got home I had to try it out, I cooked it up for my family and haven't gone back making plain Chicken and Dumplings. I used to make it with cream of chicken soup but once I went organic I gave that up now I just use chicken broth and its still as delicious and not as heavy. 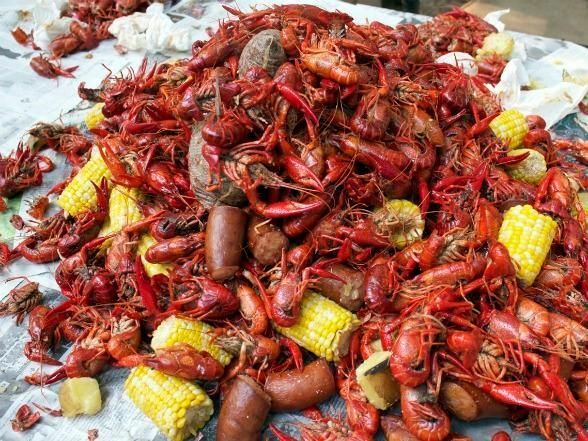 Crab Boil- Its a mixture of spices such as cayenne pepper, salt, bay leaf, and lemon, that is normally used in cooking seafood like crawfish, shrimp, crabs and in Louisiana call it a Crab Boil. You mix the spice mixture with water and boil crawfish, potatoes, corn and sometimes sausage. They happen on special occasions like Easter during the Springtime. You maybe able to find it at your local grocery store in the Ethnic isle or Amazon for the liquid or for powder Amazon. I recommend Zatarain's but you can use any brand. 3 to 4 tablespoons granulated Crab Boil, if using liquid use 2 tablespoons. Can use less if you do not want it as spicy. In a large pot, place chicken on the bottom of the pot. Combine water and Crab Boil. Pour on top of chicken and boil for 30 to 45 minutes. Check a piece a chicken for doneness, turn off heat, cover and leave overnight in the pot. Combine flour, chicken broth, baking soda, baking powder, sea salt and black pepper. Mix well. With two spoons or your hands get about tablespoon worth of dough and roll it in a little of flour so the dumplings won't stick to each other. Combine chicken broth, sea salt, black pepper and crab boil water. Bring to a boil. Shred chicken and set aside. Roll out dumpling dough and drop in the chicken broth, bring to a boil. Cook for about 10 to 12 minutes. Cut open a dumpling and check to see if it has the texture of biscuit on the inside. Add in the chicken and stir. Turn off the heat and let it sit for 10 minutes before serving. The broth will thicken slightly. Enjoy!!!!! You might need a tissue. This looks awesome. Love anything Cajun! Yummy! I'm always looking for the perfect dumpling recipe...this just might be it. And now I know what a "Crab Boil" is. Well there is crab boil where we literally boil seafood and down here we just call the seasoning for it crab boil. Its confusing sometimes. Oh yum! This look delish! I love crayfish! It is delish. Crawfish are one of my favorite parts of Spring. Wow! Love this recipe, definitely looks like some comfort food! It defiantly comforting like a nice hug on your insides. Thank you for sharing your recipe! This remind me of what my grandma would make for us back home in the philippines.. It's called "Pancit molo" but curious to know what crab boil tastes like? Is it like a crab broth? Crab boil is just a Cajun way in saying a mixture of spices that we use to typically boil crab, shrimp, and crawfish. Its a unique flavor of spices. Its spicy, peppery, and slightly salty. This recipe looks delicious. I love the spiciness of Cajun food. Looks great!/ This reminds me of when I was a kid. 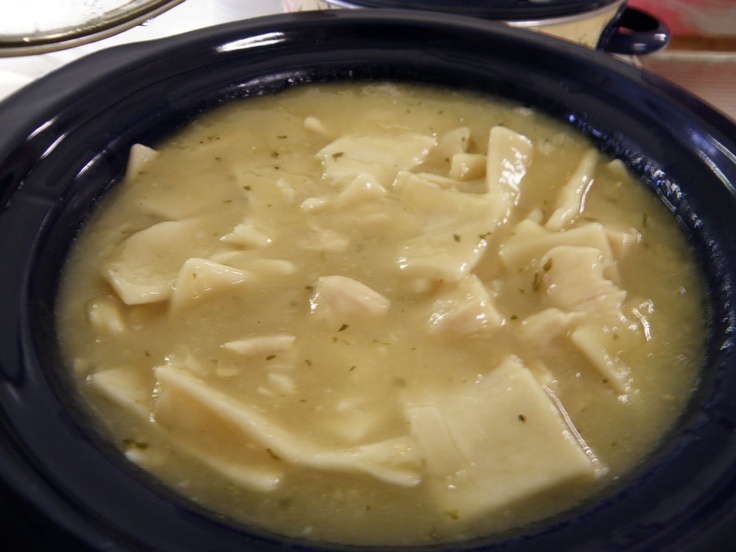 My Grandmother made chicken and dumplings often.